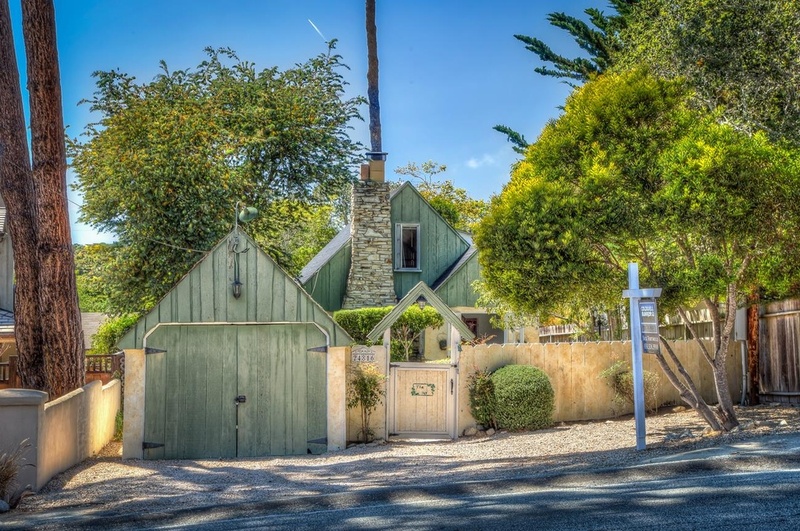 One of my favorite places to dream about living is Carmel, California. 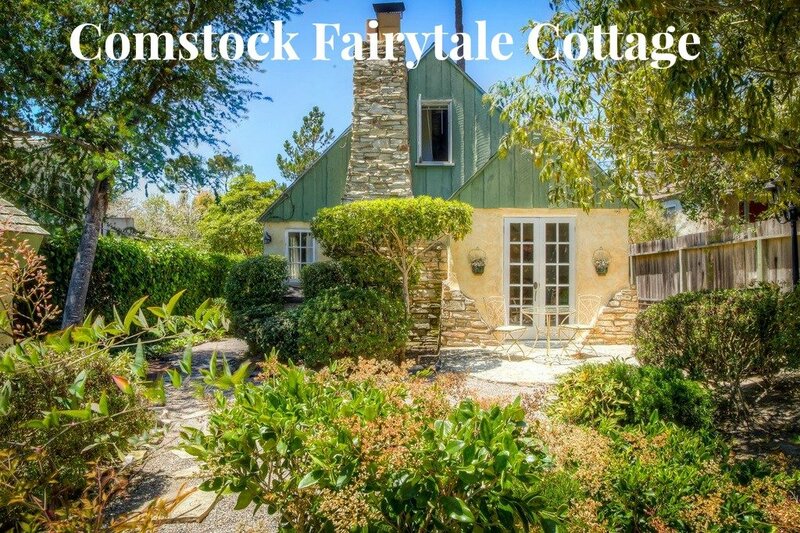 This Comstock Fairytale cottage in Carmel is our home to wish and dream about today. 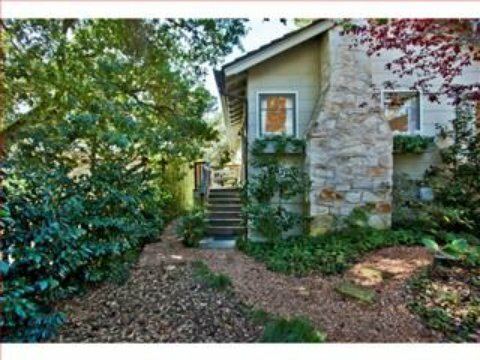 Just get a look at the fireplace stones and house. 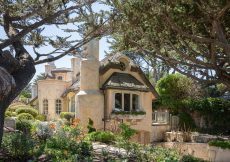 It makes me think of a storybook.Magical storybook homes are what made Carmel famous. 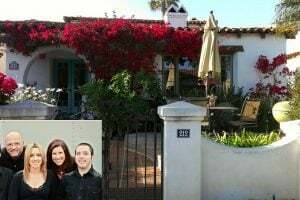 The house is called “The Ivy” and was built in 1937. 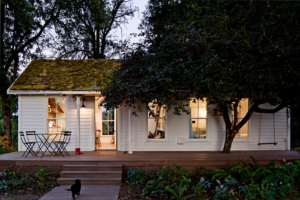 I love her muted, artsy green color and enchanting architecture and vertical siding. 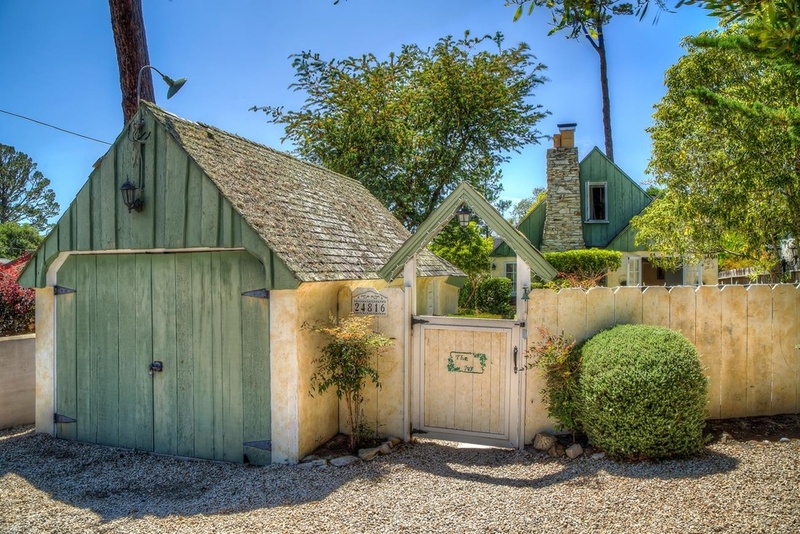 A sure sign of an inspired Comstock Fairytale cottage is crooked wooden fences and charming archway entrances. 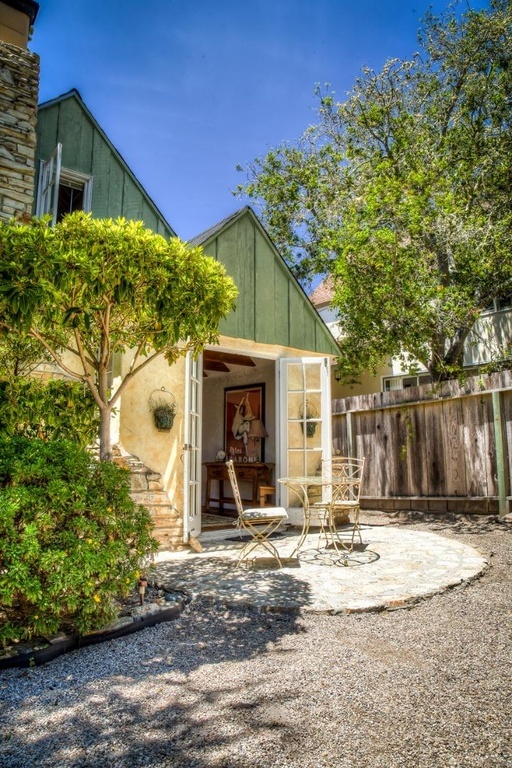 and this is California where house prices are extremely high located in highly desireable Carmel so for this 1,130 square foot storybook cottage is…. 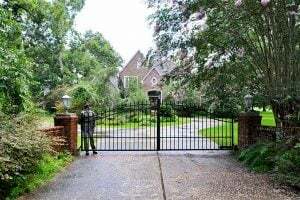 $885,000. 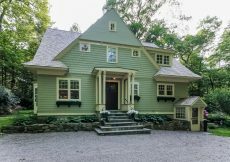 I am head over heels enchanted with the wooden fence and entrance gate framing the words “The Ivy.” The house address nestled just right above the ornamental tree and then the roofline arch that mimics the Comstock architecture of thos home makes the entrance seem like it is wrapped up like a gift. OH YES! 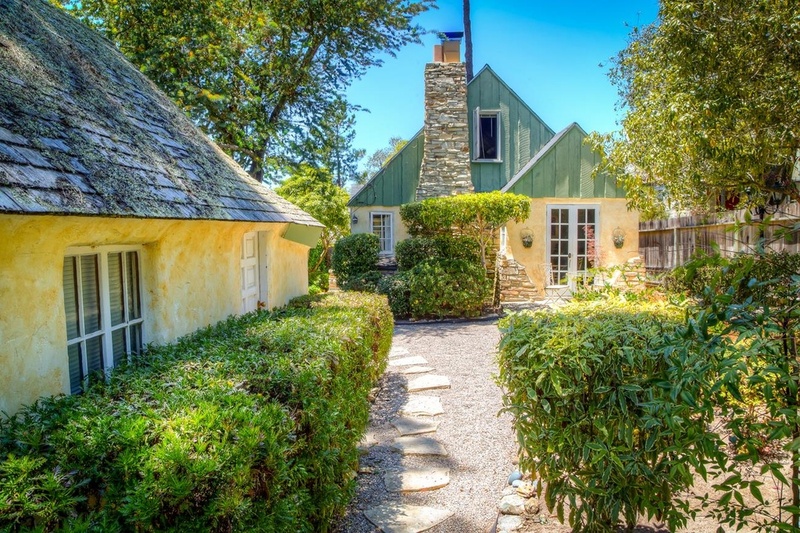 IMAGINE COMING HOME EVERYDAY TO A FAIRYTALE COTTAGE. 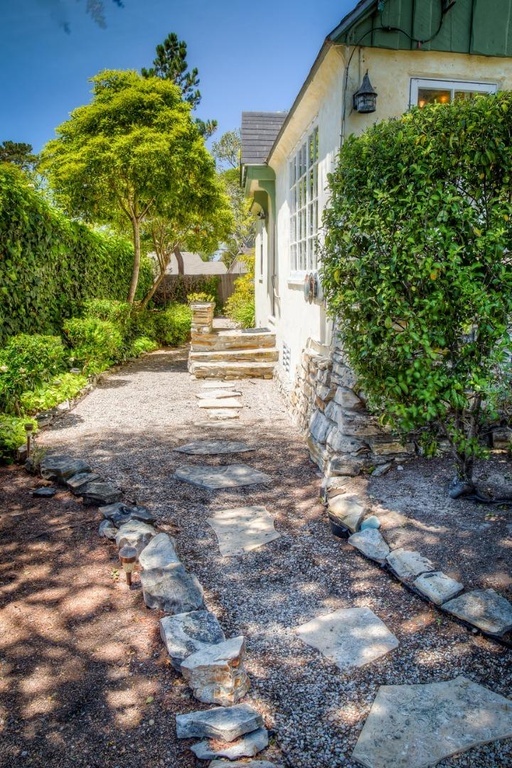 Meander up the stone path of this Comstock Fairytale Cottage in Carmel California. My Gosh, look! There is even an old time street lamp in the garden. 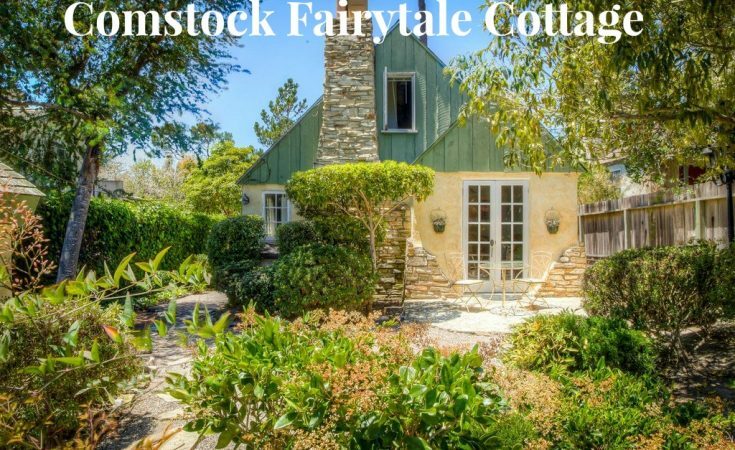 The exterior of Comstock Fairytale Cottage in Carmel for sale melts my heart. This is the kind of house I wish for on a star. 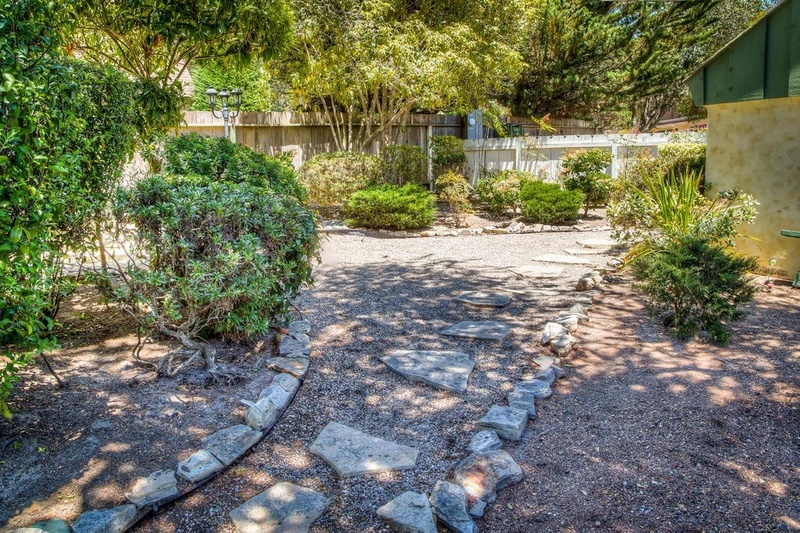 I appreciate all the stone pathways and gravel yard for easy maintenance. 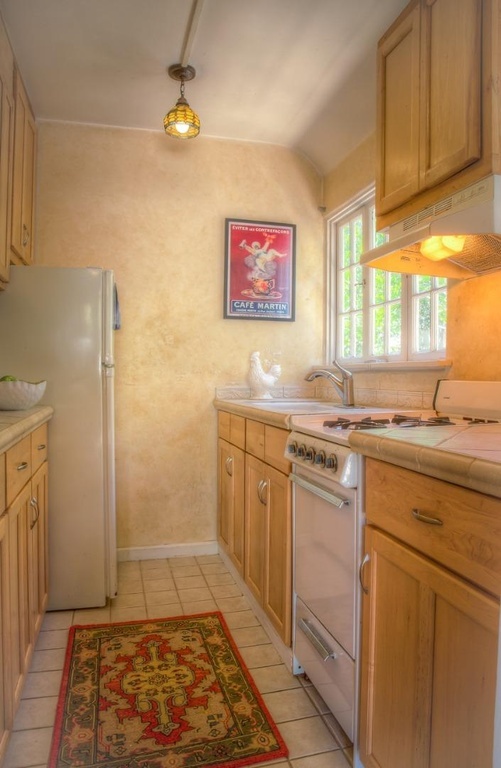 Here’s a different view from a previous listing showing the stone fireplace. 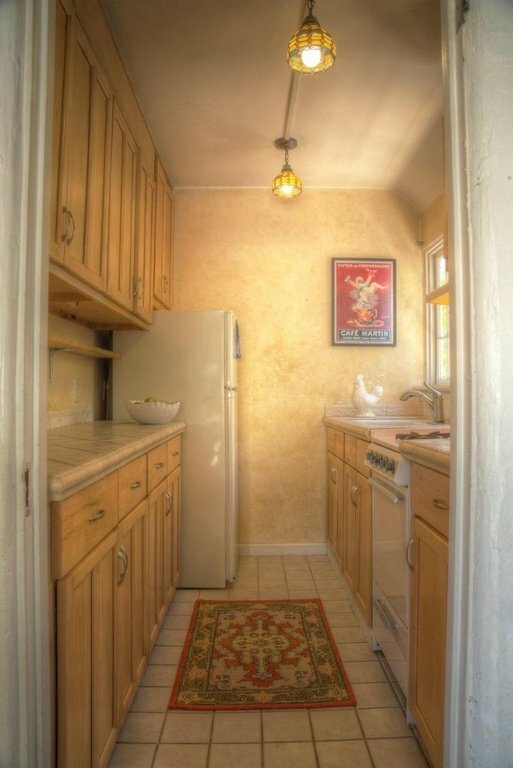 I’m just a little kitchen with wood cabinets. 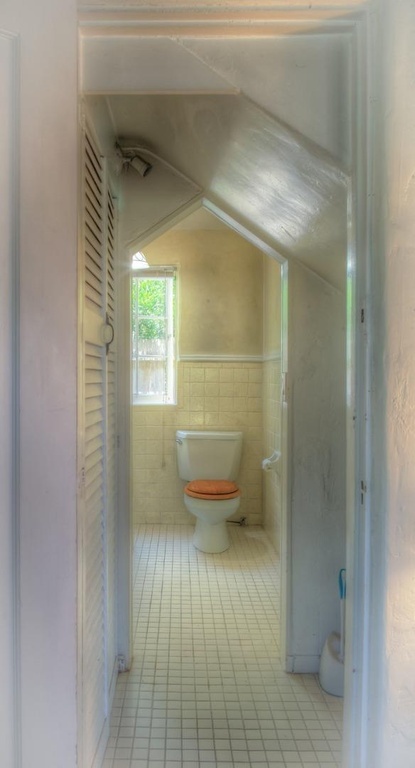 One of three bathrooms. 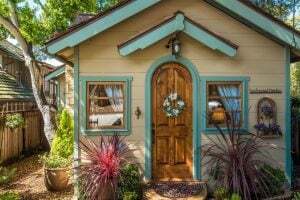 I searched online where to buy a cottage style window and didn’t find anywhere. If you know where to buy such darling windows, leave a comment please. 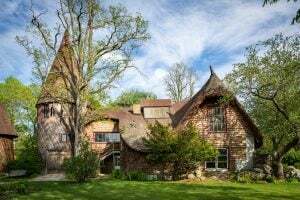 Comstock style architecture in this fairytale cottage for sale. 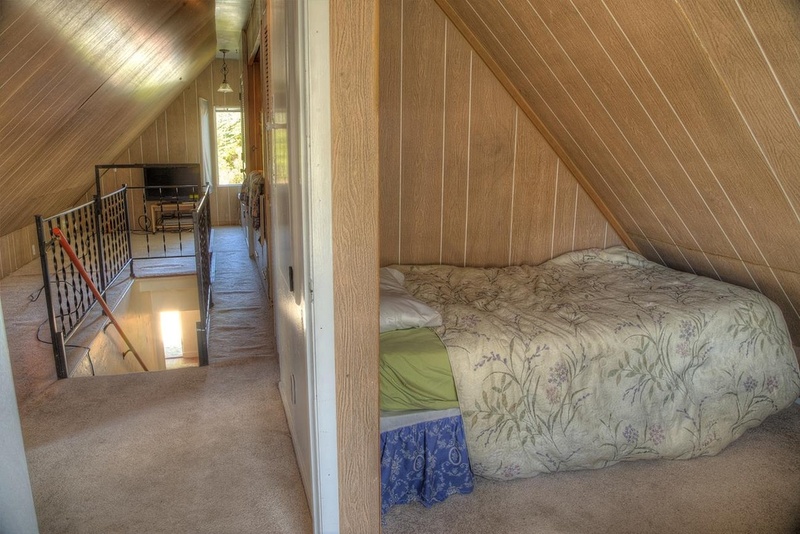 The photos make it look like three bedrooms, but nope, there are only two little bedrooms. 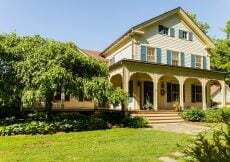 Want to live a charmed life in this cottage? 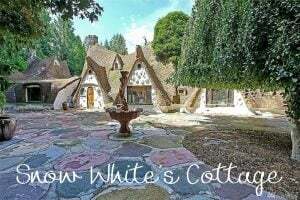 See Nick Tortorelli of Coldwell Banker who has the Comstock Fairytale Cottage listing. 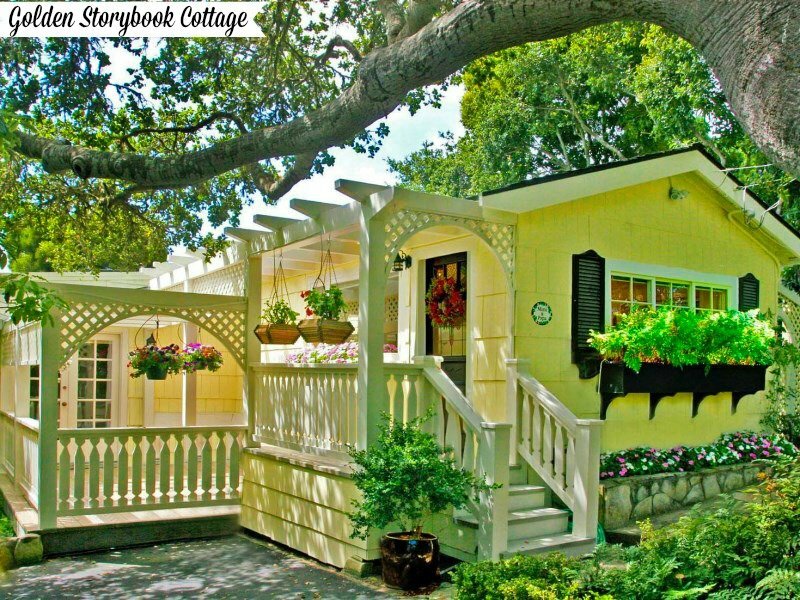 Hint… discover more cottages and storybook cottages here too. 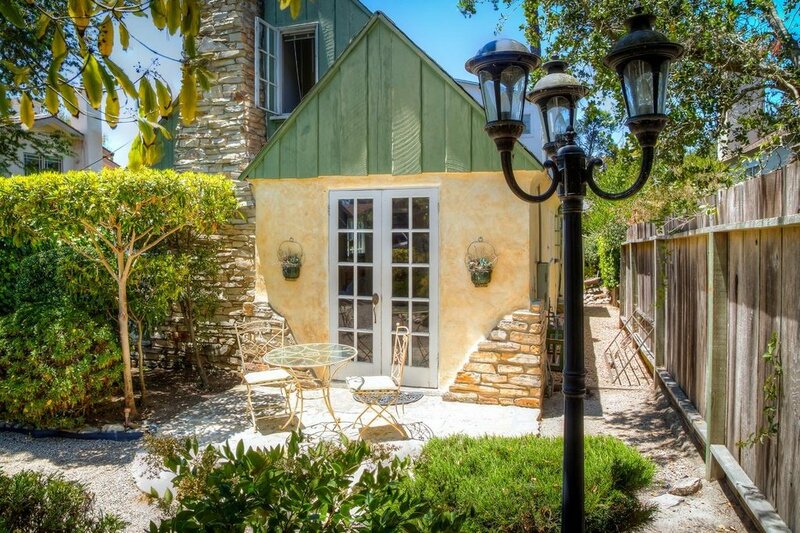 This is a really beautiful petite home. 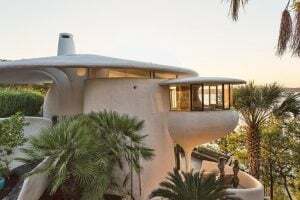 I would love to own something like this, or at least rent it out for a vacation a couple of times. 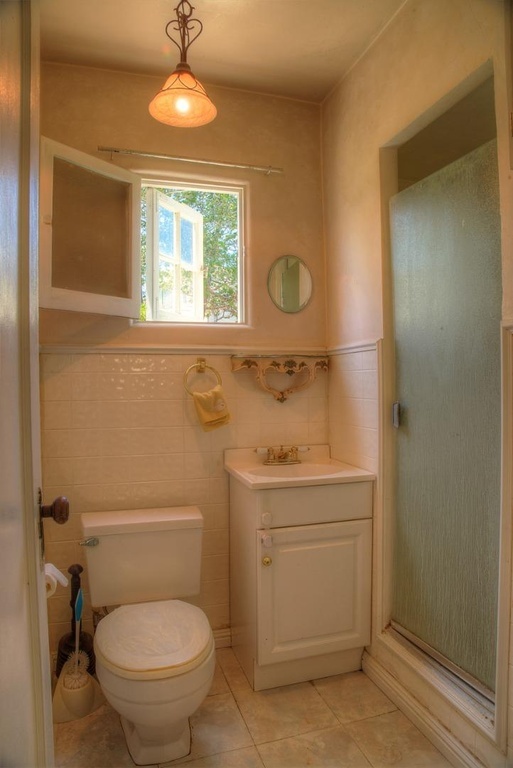 I agree with you too, the window in that bathroom is super cute. It would be nice to know where to get something like that for my house. 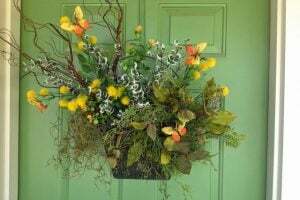 Hi Phillius, The window seems like it is old world farmhouse or cottage dutch windows like a dutch door. 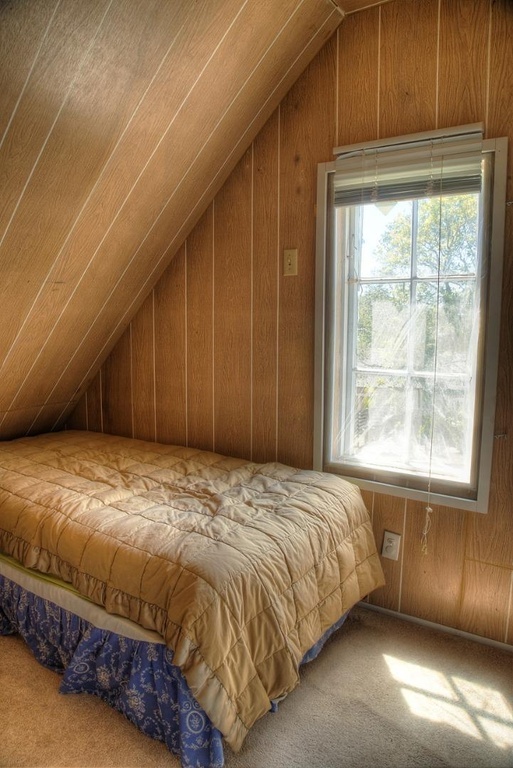 Looks like it could make quiet the cozy cottage. Thanks for the look inside. I love the outside of it! My fav room was the living room, It was stunning!!!!!!!!!!!! 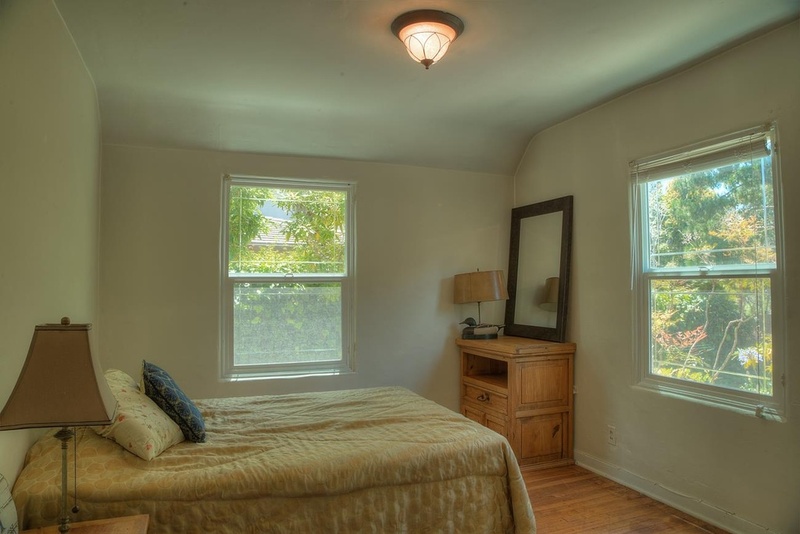 The rest of the rooms are ok..
Oh, this house is absolutely darling! Carmel has no such thing as an ugly house. I was there many years ago, but I’ve never forgotten its charm. 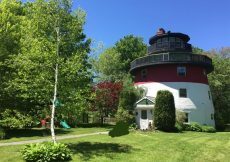 I love the architecture of this home, but everything else has to go ;). Perfectly put as usual … no such thing as an ugly house in Carmel. I just ordered a special chandelier for our dining room that I hope you will approve of. How adorable is this?Looks like a painting! 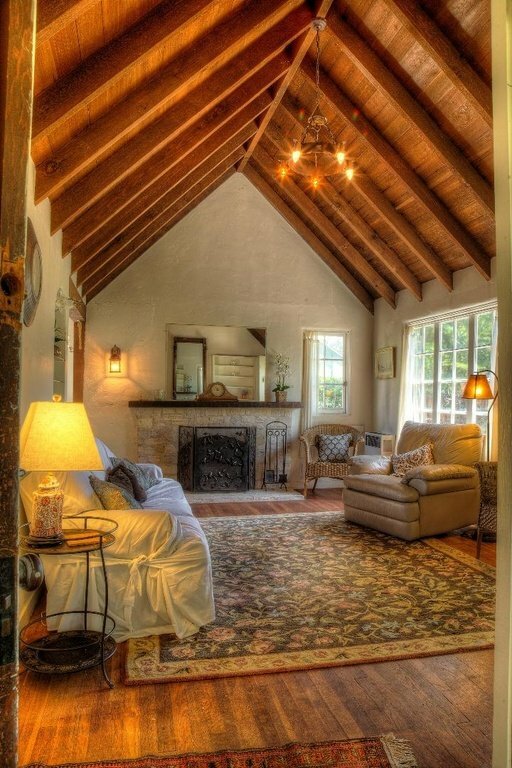 The exposed beams on the high ceiling is my favorite part! I could totally live here! A lot of artists and photographers spend time and/or live in Carmel. 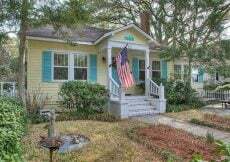 Lovely and quaint indeed. I particularly like the grounds. 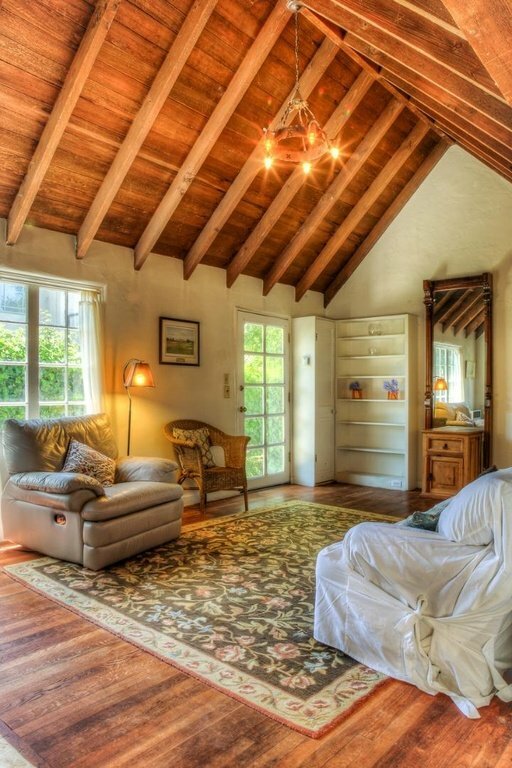 The vaulted wood ceilings are a wowzer. 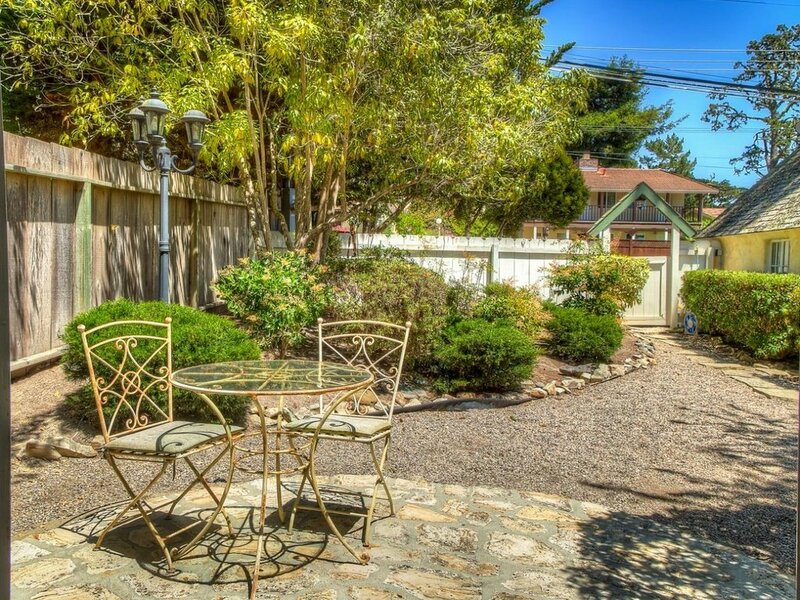 Carmel is a lovely area too. 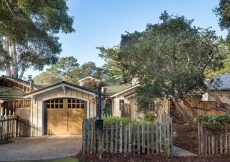 Have you been to Carmel? I am always envious of those that have visited there. If I went there, I might never come home.